This beautiful clear glass basin is luxury bathroom styling at its very best. Each glass sink has a crystal collar design featured around the top rim producing a very stylish wash basin and great design for luxury bathrooms. All designer glass sinks are made to special order and 3 to 4 weeks should be allowed for the delivery. 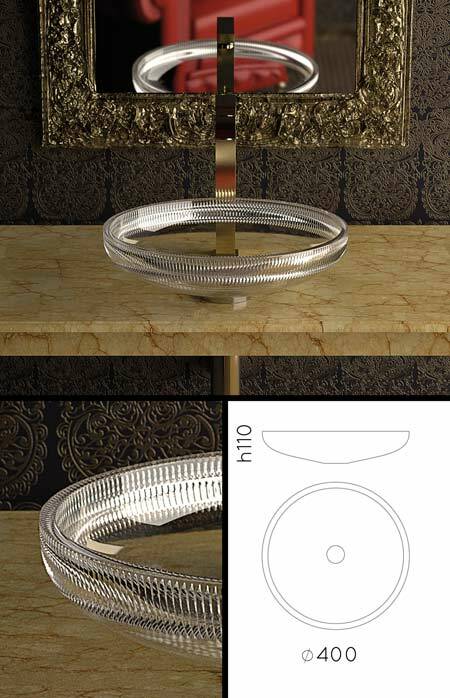 Each glass sink can be supplied with a polished mounting ring and basin waste as an optional extra. * Exclusive glass sink design.